American usa houses logo. Usa flag patriotic house real estate vector image. 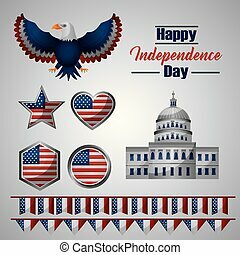 USA Bald Eagle American Flag vector isolated on plain background.